Objective: To evaluate the efficacy of strontium chloride, Biodentine® alone and Bio-dentine® in combination with diode laser in the management of dentinal hypersensitivity using scanning electron microscope. Materials and methods: This comparative in vitro, single blind study was carried out on 80 randomly selected extracted teeth. The selected 80 extracted teeth were categorized as: Group 1 - 20 teeth acid etched only; Group 2 - 20 teeth treated with strontium chloride; Group 3 - 20 teeth treated with Biodentine®; Group 4 - 20 treated with Biodentine® and diode laser. The samples underwent scanning electron microscope analysis. Results: The qualitative analysis showed no occlusion of dentinal tubules in Group 1 (control group). Dentinal tubule occlusion was 91.2% in strontium chloride group, 81.3% in Biodentine® group and 80.0% in Biodentine® with diode laser group. Conclusion: Within the limitations of this study it was concluded that Biodentine® alone showed better results than Biodentine® in combination with diode laser for dentinal tubule occlusion. However, when laser was used over Biodentine® in contact mode, the results showed Biodentine® to have a melted appearance, rather than the irregular fi brillar structures usually seen. This in vitro study was performed on extracted teeth which do not mimic the natural biological environment. Therefore, in vivo studies should be carried out to assess the potency of Biodentine® in occluding and sealing dentinal tubules and its potential for treatment of dentinal hypersensitivity. 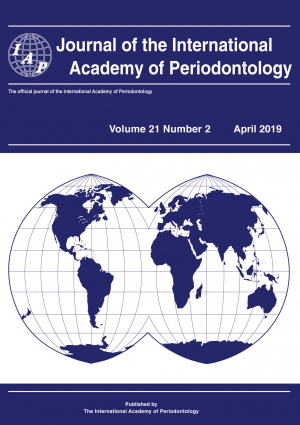 © 2019 International Academy of Periodontology.